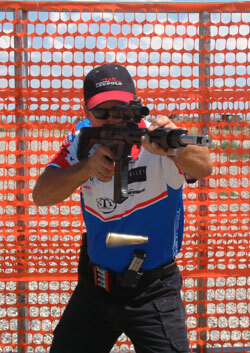 Bennie Cooley has over 25 years experience in Counter Terrorism and SWAT training. He trains various tactical groups, including specialized units within our military, federal, state and county law enforcement organizations. Bennie has served on the board of directors for the Mountain States Tactical Officers Association, and received their Excellence Award in recognition for winning two National SWAT Team Championships. He also received two World Class Quality Awards for his leadership and training of personnel. He is recognized for his outstanding ability to instruct and develop individuals in CQB Shooting, Urban Tactical Rifle, Patrol Rifle, Long-Range Sniper Training, Advanced Active Shooter and SWAT Operations.